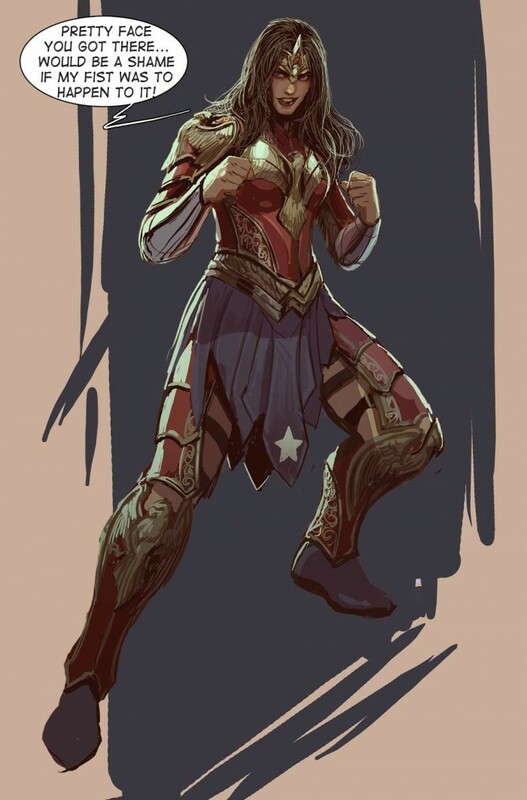 A fan made redesign of Wonder Woman… In my opinion it’s better than most. Oh no, someone drew a female character without making it hyper-sexualized! Quick, insinuate that it’s not female or you might be gay! Her douche-speak doesn’t exactly reinforce her femininity. OMG! A female with REAL armor?!?! how can this be? does it actually protect her in battle? I thought that is what the bikinis were for….